Heather Holm, author of several books including Bees: An Identification and Native Plant Forage Guide, gives presentations on a variety of topics including: The Buzz about Native Bees, The Pollination of Native Plants, and Gardening for Native Bees and Butterflies. 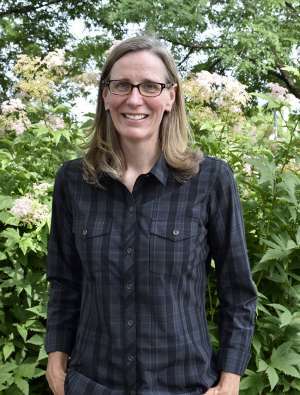 Heather had an avid interest in natural history and botany at a young age, and spent much of her childhood exploring the woodlands and prairie on the family property, established by her great great grandfather in the 1850s. She studied horticulture and biology at the University of Guelph and later web programming and digital design at Seneca College in Toronto.